Spring Farm Condos is a new per-construction Condominium located at 441 Clark Avenue West, Thornhill, Ontario. Spring farm Condos development by RioCan will build a 20-storey mixed use residential tower with ground floor commercial uses. 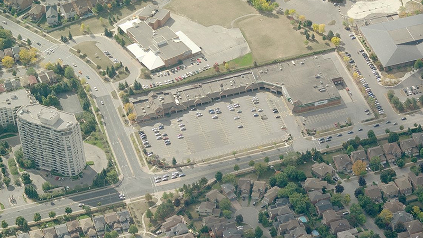 Also developmant plan include three levels of underground parking and a two-storey commercial building at the eastern end of the Spring Farm Marketplace (Sobeys Plaza) along the Hilda Avenue frontage. Located at Clark Avenue and Hilda Avenue Spring Farm Condos has quick access to Hwy-407, Hwy-400 and Hwy-7. Also Spring Farm Condominium located close to Yonge Street, TTC Stop and Public Transit and parks including Garrison Creek Park, Marian Engel Park and Hillcrest Park. Register with us today for your Platinum VIP Access to Spring Farm Condos!